The duration of the course will be one month. Urdu-speaking parents who are forced to admit their wards in English medium schools in urban areas due to lack of quality education in Urdu, desire that their children should be able to read and write in Urdu. 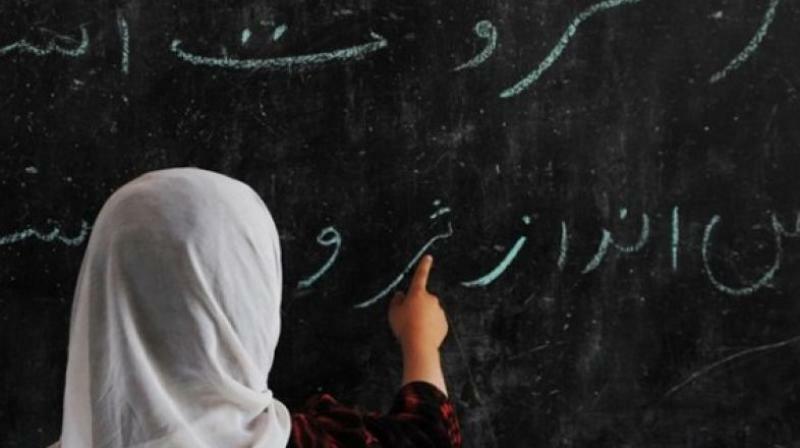 Hyderabad: Exploiting the thrust to learn Urdu language, the Telangana State Urdu Academy has designed a summer crash course to teach Urdu to students of English and Telugu medium during the vacations. The duration of the course will be one month. The Urdu Academy is collaborating with NGOs and educational organizations to run the classes in various parts of the city and Telangana. In Hyderabad, it plans to open more than 50 centres while three centres will be opened in each district. The Academy will provide educational aid kits to the students. Tutors will be awarded Rs 10,000 honorarium. The Muslims are worried that their children studying in English medium are uninformed about the basics of their religion because religious cognitive content is largely available in Urdu language, while scanty material is available in English and Telugu. Mr Syed Sajjad Ali of Red Hills said that all his children are studying in English medium. He said there is a provision to teach Urdu as a second language, but most school managements do not provide a teacher to teach the language, resulting in the children opting for Hindi. He said that if the academy arranges summer camps, our children will be able to learn Urdu. President of the Urdu Academy Raheemuddin Ansari said this initiative will help children learn Urdu. If elders show interest in learning Urdu, we are ready to dedicate an exclusive camp for them too. The Academy will provide a kit to every participant consisting of a basic book of Urdu learning, a note book, pencil and eraser.